One of the world's classic treks! 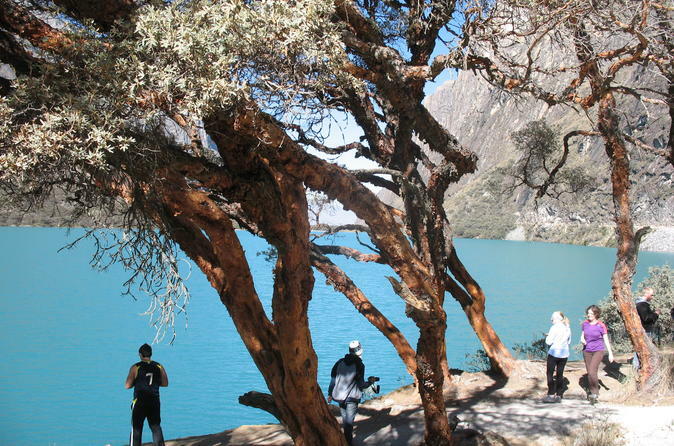 This 4-day circuit will let you appreciating the Tropical's highest peak in the World, Huascaran (6,768masl) and one of the most beautiful mountain in the world, Alpamayo, takes us through three valleys; LLanganuco, Huaripampa and Santa Cruz to enjoy the stunning Andean views and its distinctive cultures. 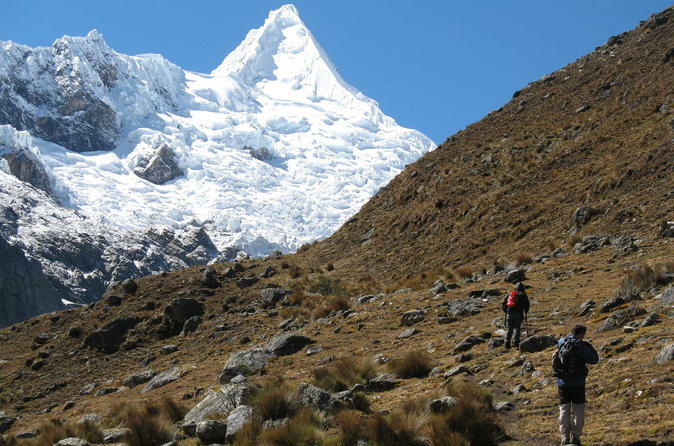 Ranking easy to moderate, just one high pass, there’s so many spots to enjoy: the Jatuncocha and Ichiccocha lakes, the Quenual, glaciers, waterfall, etc. 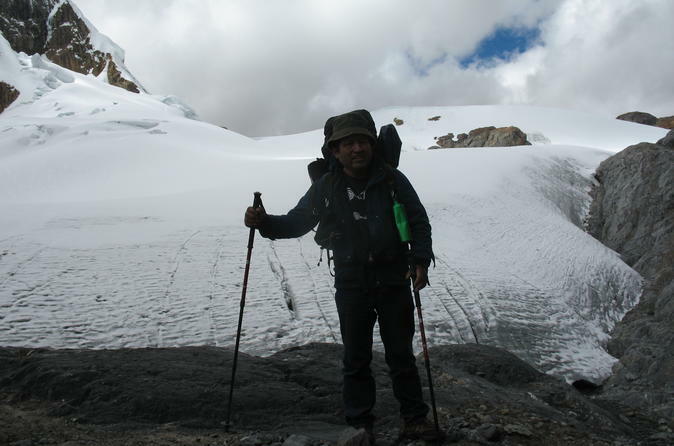 Santa Cruz Trek is one of the most wonderful trekking in the world as it is a short trek that help you acclimatize. After you will be able to complete the trek circuit climbing or hiking long challenges. 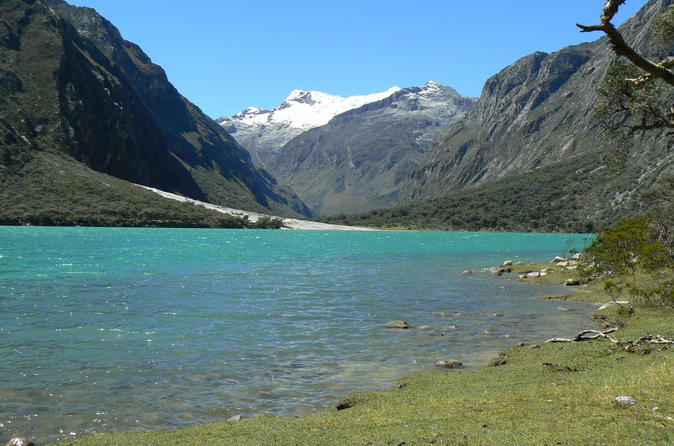 Santa Cruz is located in the hearth of the Cordillera Blanca and it has easy access by both sides. Its mountains, panoramic views with colorful lakes, snow peak mountains makes it also very special. This Trek is actually very popular and preferred by lost of hikers. It can be combined with connection tours to southern Peru such as Inca Trail Trek to Machupicchu and other tours. 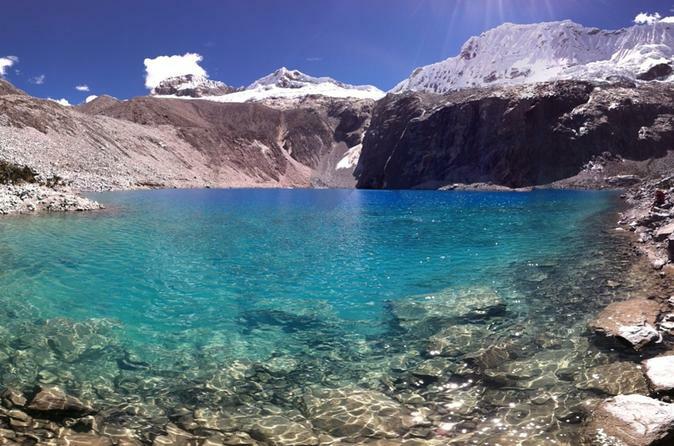 Lake 69, the stunning mountain view lake is located in the base of the wonderful mountain Chacraraju in the hearth of Cordillera Blanca at 4900masl. Preferred by a lot of people for being the one day hike as part of acclimatizing for next challenging on long treks or climbing activities. Lake 69 is a beautiful mountain glacial lake nestled under the mountains in the Demanda Valley. This is a great excursion for people who want to acclimatize before heading to a longer hike. The 5% of this price is donated directly to people or family in needs personally from our clients. This 5% of direct donation may be for study supplies (notebooks, books, pencils, papers, pens, erasers etc, etc for Schools or individuals). Clothes for Family and Children. They live in the country side mainly and this visit could be coordinated as Acclimatizing Trek. In this trip arranges for Cultural Interchange or exploration, for cultural experience. 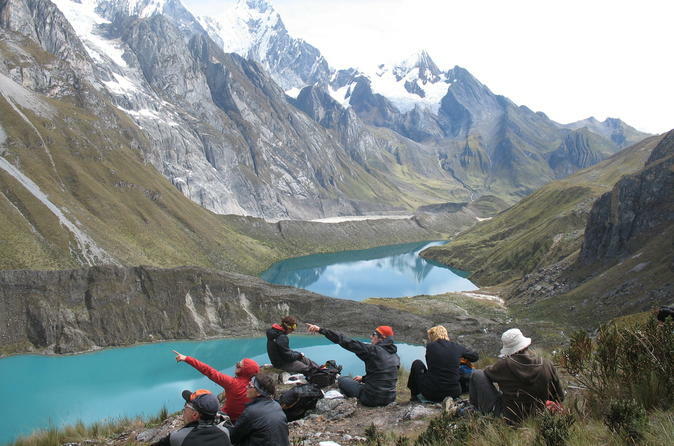 Llanganuco Lakes Tour is one of the nicest adventure short visits in the hearth of the Cordillera Blanca. 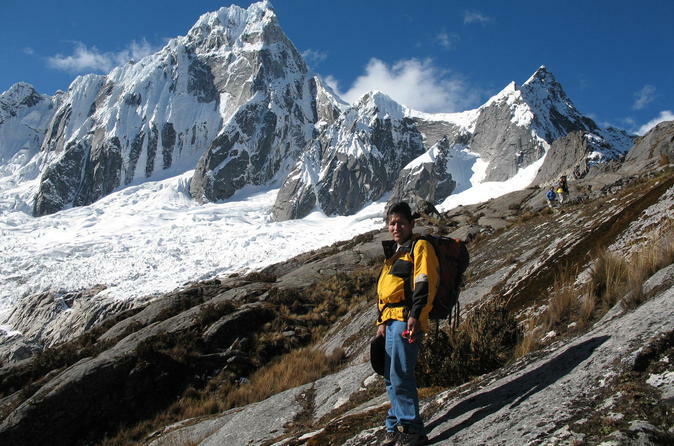 This tour is magnificent for acclimatizing for long treks and climbing or just to combine your visit in Peru. Join this full-day tour to tChavín de Huántar, an archaeological site located in the Ancash Region of Peru, 250 kilometers (160 mi) north of Lima, at an elevation of 3,180 meters (10,430 ft). 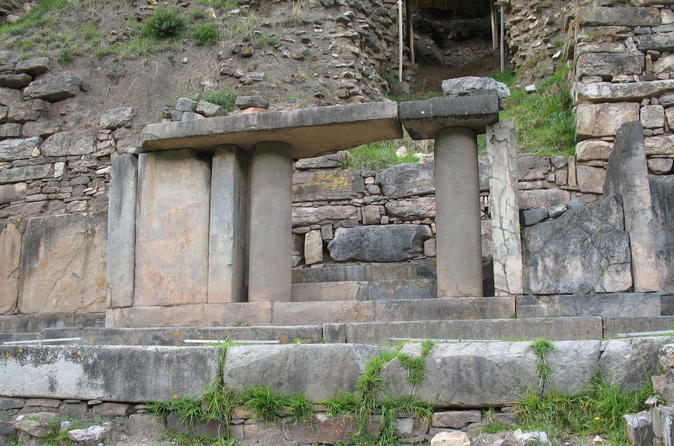 Chavín de Huántar has been designated a UNESCO World Heritage Site. Pastoruri magnificent mountain landscape with wide opened view of the Cordillera Blanca offers wonderful and interesting points to visit. Adventure tour that combined with a full day bus tour for someone who likes adventurous travels, good option to visit the glacier or who wants to practice ice climbing. 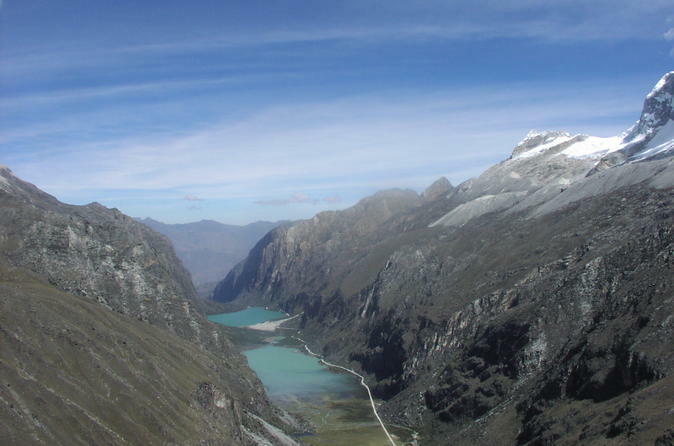 Lake Llanganuco - Callejón de Huaylas is one of the most popular tour in Huaraz where you can see Huascaran mountain with 6768 meters above sea level, the tropical highest mountain and visit popular towns like: Carhuaz, Yungay, Caraz y Tarica. Join this 10-day trek and explore the main range of some twenty peaks stretching for approximately 25 km, with a subsidiary range of smaller peaks stretching out to the west for approximately 15 km. Six of the peaks exceed 6000 m. Yerupajá (6617 m), the second highest mountain in Peru (behind Huascarán at 6768 m) and Siula Grande (6344 m), made famous by Joe Simpson in Touching the Void Film.